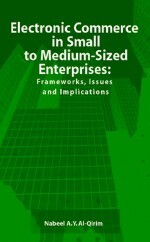 This chapter explores the role of application service providers (ASPs) in the development of small to medium-sized enterprises (SMEs) in e-commerce era and guides clients to successfully collaborate with ASPs for competitive advantages. It extensively discusses the advantages and risks SMEs will take when renting applications from ASPs. Furthermore, a five-stage model is presented to investigate the process by which SMEs can establish cooperation with ASPs. At each stage, the factors SMEs need to account for when choosing ASPs, as well as management strategies during relationship building, are examined in detail. Practical recommendations are provided for SMEs to follow in order to set up a successful relationship with ASPs. By understanding this relationship establishment process through the stage model, practitioners facing the real challenge may learn a well-grounded methodology for ASP selection based on particular characteristics of their organizations.